Halloween is such a fun time to make your own decorations, costumes and treat bags. To keep the expense of all this crafting down, I am sharing these quick Halloween crafts using things from nature. Not only are these projects budget friendly but they also have rustic style. All you need to do is go on a nature walk and start collecting! Besides pumpkins, what says Halloween more than a witch’s broomstick? 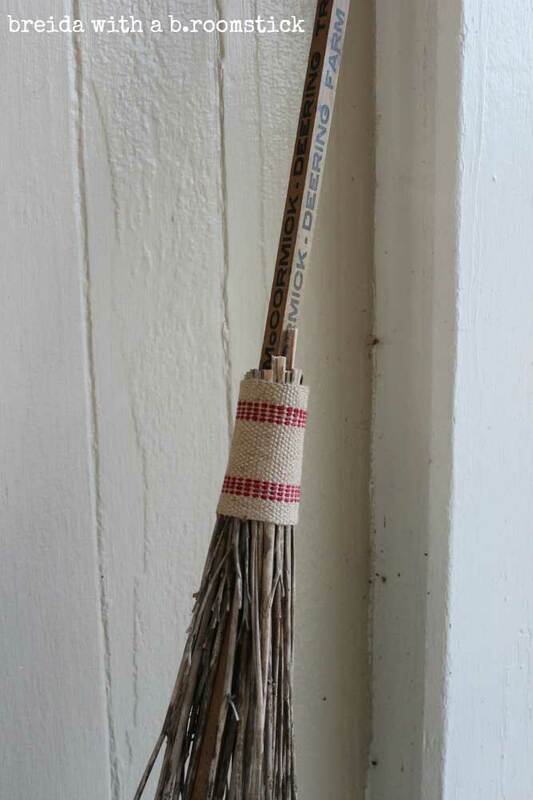 The broom is made from dry tiger lilly stems. A variety of things can be used to make the broom handle. To keep with the nature theme, use a thick straight branch. Kids will love this idea! 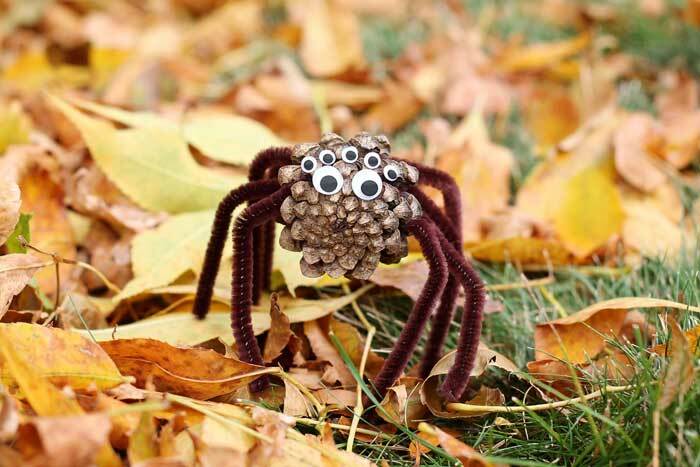 Make a pine cone spider to decorate a kid’s Halloween party. 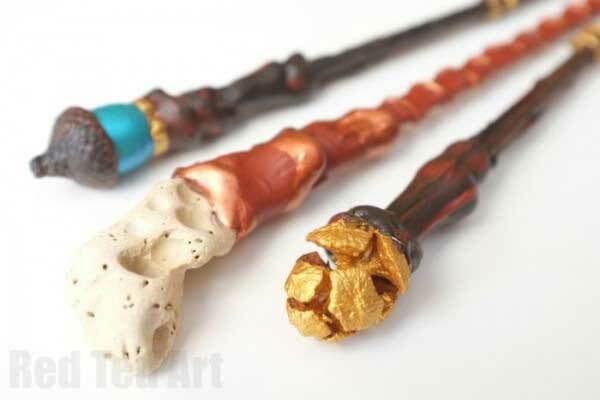 A popular accessory in many Halloween costumes is a magic wand. Create a decorative one by combining a chopstick with your favorite nature item. Things like acorns and pine cones work perfectly. Because decorating with leaves is so popular for Fall, this craft project is a must. Paint some leaves white, add a face, and scatter them among your other leaves. 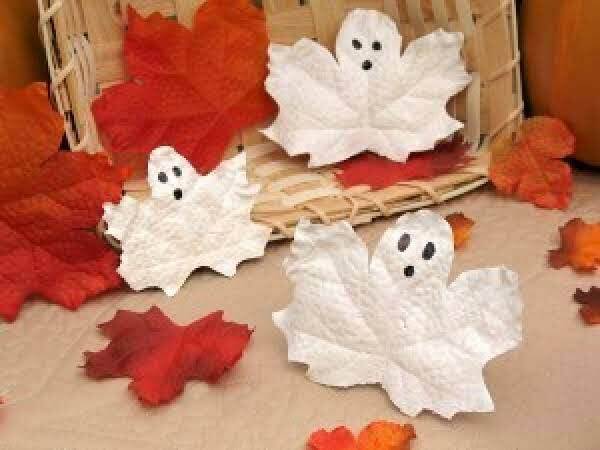 Ghost leaves are perfect to add to your mantel, a shelf, or a table. If you have a leaf garland, simply stick a few of these among the strand. Create unique vase or bowl fillers this Halloween. 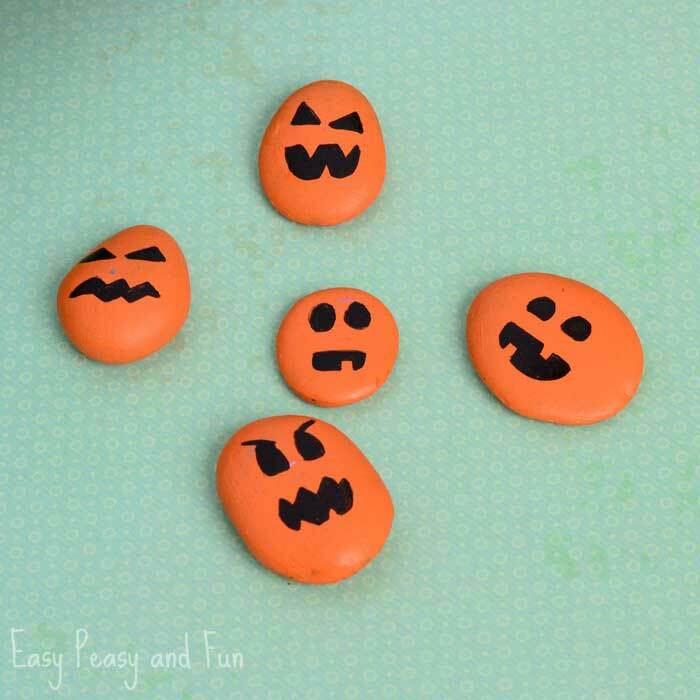 Just paint some rocks as pumpkins and fill a glass vase. These would also be cute just scattered on a table. Halloween decor doesn’t have to be expensive! 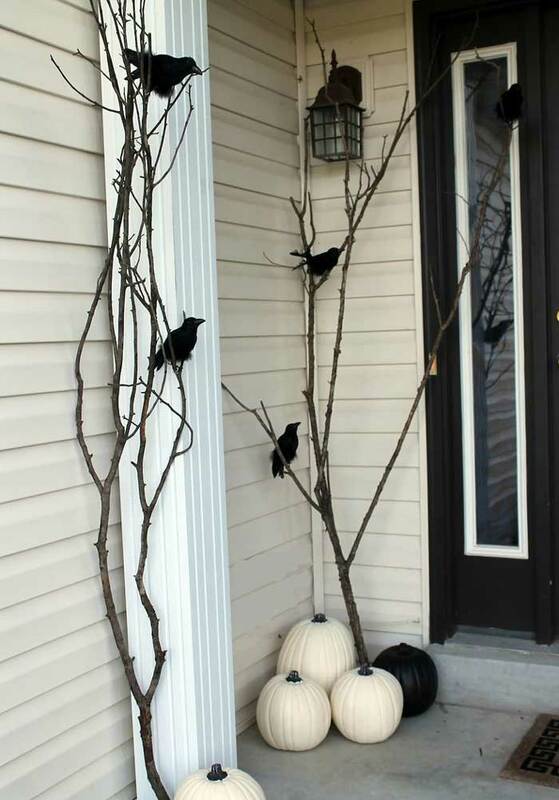 Just adding a few dead branches to your front porch can create a look of a spooky dead forest. Hang other Halloween decor from the branches to accentuate the look.